USEMCO Above Ground storage tanks are available as single or double wall, horizontal cylindrical with or without skids, vertical cylindrical without skids or rectangular with or without skids. 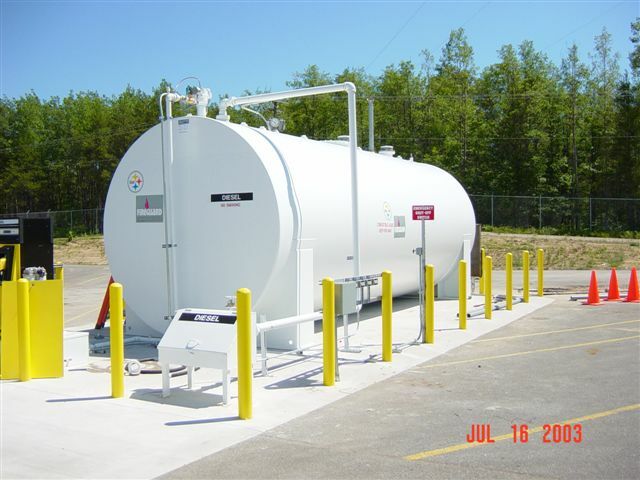 Above Ground tanks are designed for a variety of petroleum or chemical products with compatible interior linings available to protect the tank shell. UL 142 listed primary and secondary tanks. Double, triple and quadruple compartment tanks available. 5 standard equipment openings. 2″ on 1000 gallon tanks and below, 4″ on tanks above 1000 gallons. Optional saddle supports available for horizontal cylindrical.